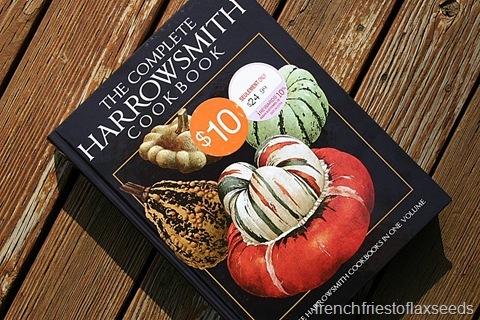 The Complete Harrowsmith Cookbook. It was recommended to me by a friend, and when I found it on clearance for $10, I couldn’t exactly pass it up. It has countless recipes, including many traditional/standard recipes and some interesting unusual ones. Rarely can I not find something that I’m looking for, or at least a recipe I can use as a starting point for the creation I have in mind. But this time, I wanted a recipe that I could follow to a “T”. You see, this time I was making dessert for Mother’s Day. 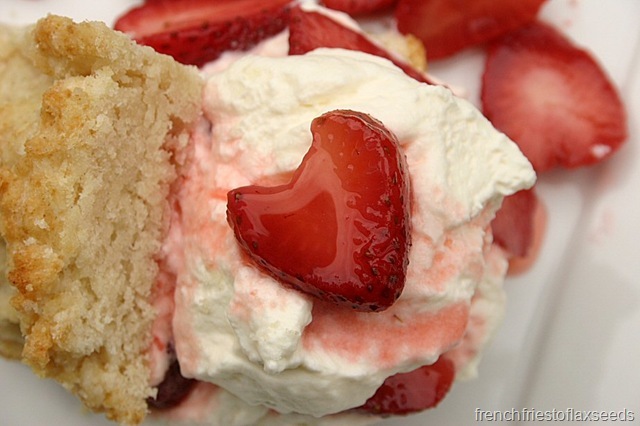 And mom had requested…strawberry shortcake. 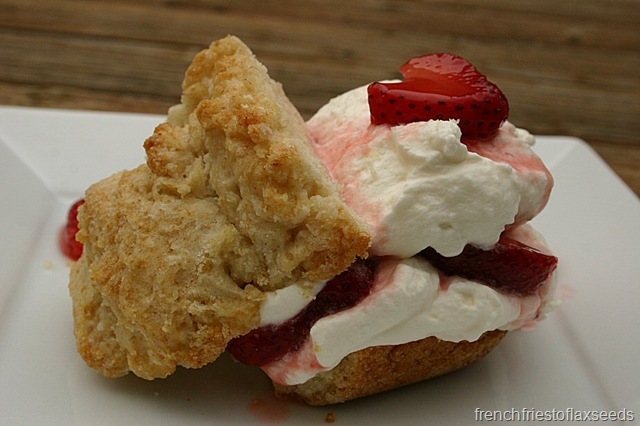 I know what you are thinking – seriously Marianne, you’ve never had strawberry shortcake before? It’s true. I admit it. I was a strawberry shortcake virgin. I had actually eaten what some people like to pass off as strawberry shortcake – you know, those little yellow spongy cakes, topped with strawberries and whipped cream. Or little angel food cakes topped the same way. But true strawberry shortcake is neither of these. 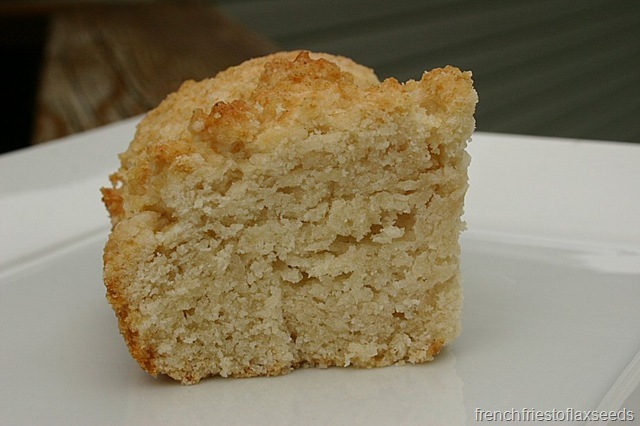 It is a more biscuit like, dense, subtly sweet “cake”. And that’s what I wanted to make. Just so happened – my go to tome of recipes had exactly what I was looking for. 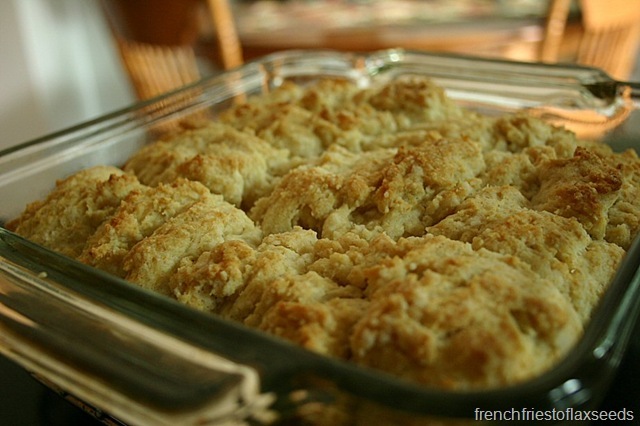 A deceptively simple recipe that I was ready to try out. Even if I had no idea how it was supposed to turn out in the end. The batter came together in a snap, and baked up into this lovely, golden brown “cake” that filled my kitchen with the scent of vanilla. See that nice, dense crumb? Perfect! Even though I stuck to the recipe for the shortcake, I did take some liberties with the strawberries and whipped cream. It was Mother’s Day, and I wanted to kick things up a little bit. 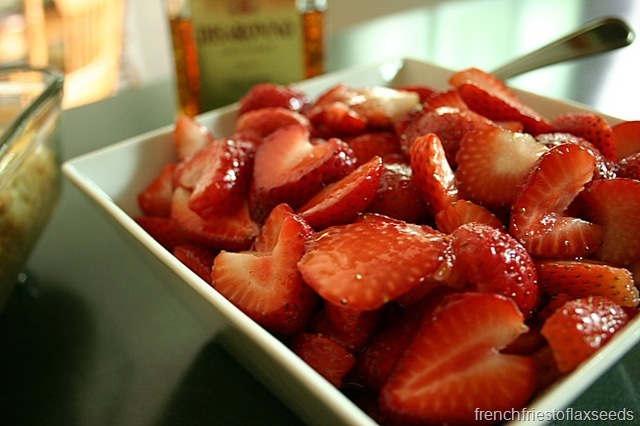 So I macerated my fresh sliced strawberries in a little sugar and amaretto. 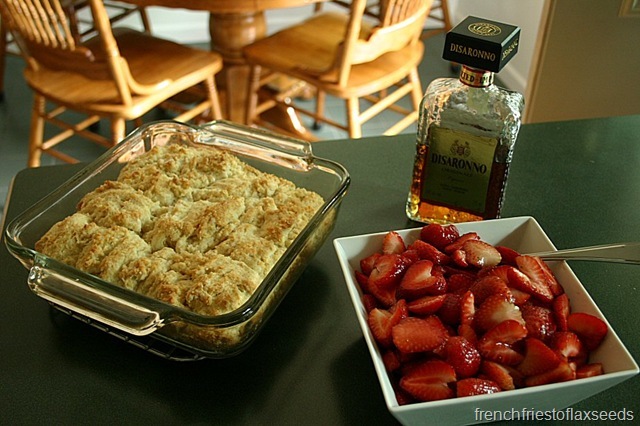 Baking with liquor is always a good idea! I may have also spiked my whipped cream with a little more amaretto. You know, just to tie the flavours together. What’s great about this dessert is that you can plate it as simple or fancy as you want. I went with double layers of strawberries and whipped cream. Because hey, it was Mother’s Day – gotta go all out! So I think I have a new dessert to add to my favourites. 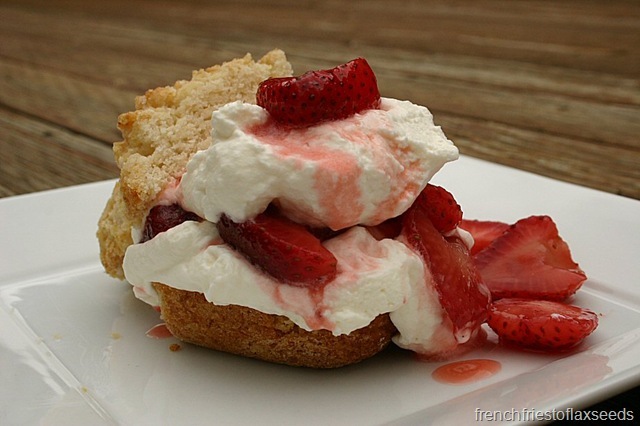 Why didn’t anyone tell me strawberry shortcake was so damn delicious? The dense cake, sweet strawberries, and light whipped cream made for the perfect ending to our dinner. The fact that it is so easy to put together makes it even that much better. 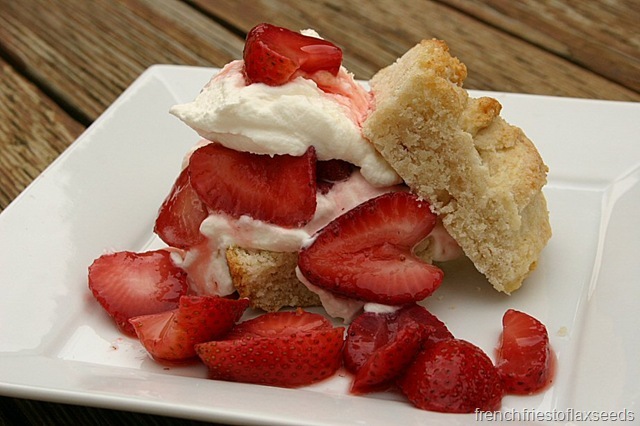 I will be making shortcake again, hopefully once local BC strawberries are in season. 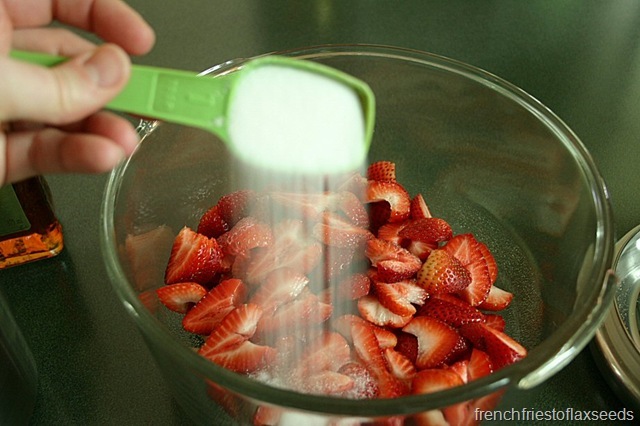 I can even see using different fruits, like blueberries or peaches in place of the strawberries. Showing my love through food – Happy Mother’s Day Mom! Okay, so I was kind of thinking that. 🙂 Your shortcake looks amazing. I just made some this past week. It was our first of the season. That cookbook sounds like a winner and what a great deal! btw i realized i didnt put u on my blogroll yet! gonna add you right now. if u’d like u can add me to yours, not pressure tho.